Hello. This is a Korean in America. 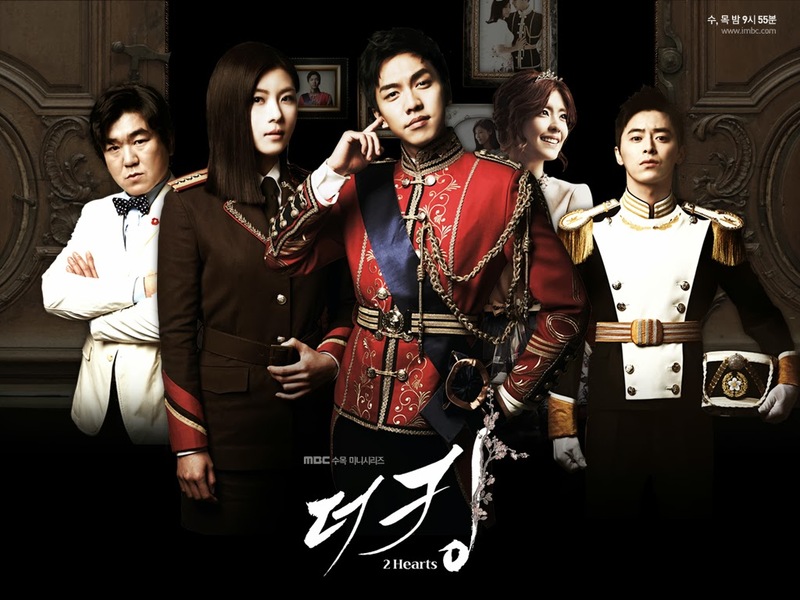 Today, I will be discussing the relatively recent trend in Korean drama of presenting an alternative history in which the Korean monarchy still exist to this day. I would like to provide some historical background for this revolutionary trend. 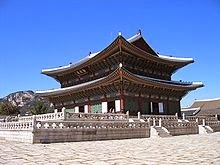 In Korean dramas, there was a trend a few years ago of creating a bunch of series with an alternative history setting in which there was still a monarchy in Korea. Examples would be Goong and Goongs. For my generation and the previous generation, history of our nation and the monarchy was a touchy subject. What we and you now call “Korea” was a monarchy up to the Japanese annexation. And it was a true “medieval” monarchy and not the modern “constitutional” monarchy we are more comfortable today. While the occupation by Japan was a not a positive thing at all, it did change us the people. We were introduced to modern ideas such as nationalism, democracy, and even communism. The slave class was no more and the actual class system was abolished officially. The 35 years of occupation changed who we were. As a result, since the liberation of 1945 from Japan, our attitude towards the past was complicated. Because of the occupation, we want everything before it to be this ideal situation that the Japanese destroyed. However, the reality was not so. It was pretty crappy for the majority of people living under a primitive society. At the same time, there are a lot of people who wanted to totally erase what was there before from their minds as they were ashamed of it looking back. The past was this backward place. The common ground most people had was their look warm attitude towards the monarchy or more precisely the “Lee clan monarchy” that rules the Joseon dynasty for 500 years. While there were some attempts to restore the monarchy, the majority of people did not support that idea. It was a common sentiment that the monarchy corruption and incompetence led to the Japanese annexation. Whether the full burden of the annexation could be placed on the monarchy is debatable. However, the performance of the monarchy even before that was never really spectacular in its governance of the country. Overall the country was poor and starving for generations and the corruption in the government was always rampant. In other words, it was just a “medieval” monarchy with all its structural limitations. What makes defending the monarchy more difficult compared to other nations is its plainness. 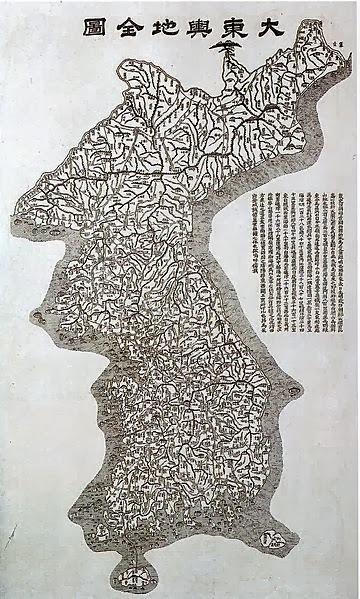 Korea or Josean dynasty was always a satellite country of China and had an isolationist policy. In this setting, the monarchy was just the care taker of the country and its people. Its grade of on this category is a C- or D average. The monarchy did not have any other function to give it a boost in grades. I mean at least the other monarchies had the function of war chief of its country. They were the strongest when they were at war. In the case of Korea, there were no wars to take credit for. Even with the one big war with Japan during the 1590s, the Korean monarchy did not play much a role. No one says that the war was won because of the monarchy! The only great king in the people’s mind is Sejong the Great. But this is because he was the key in the development of the Korean alphabet system. Not that he was actual good at his day job of being a King. I mean the Korean alphabet system is awesome but that’s not what a king should be doing with his time. It is like having your president develop a great computer operating system himself while still on the clock. It is not his main duties. It is known that Sejong the Great was not able to control the other powers in the country. This freed him up to develop the Korean alphabet system was an attempt to circumvent them. So, for a long time, the monarchy was a symbol of Korea’s backwardness in the popular culture. While historical dramas were popular, they focus on what we consider the negative aspects of the monarchy, the in-fighting and intrigue. 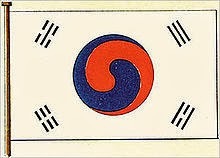 There were no attempts to create an alternative history setting in which there was still a monarchy in Korea. And this changed with “Goong”! In this way, “Goong” is a revolutionary K-drama series. It merged the “Trendy” K-drama format with the historical series format. 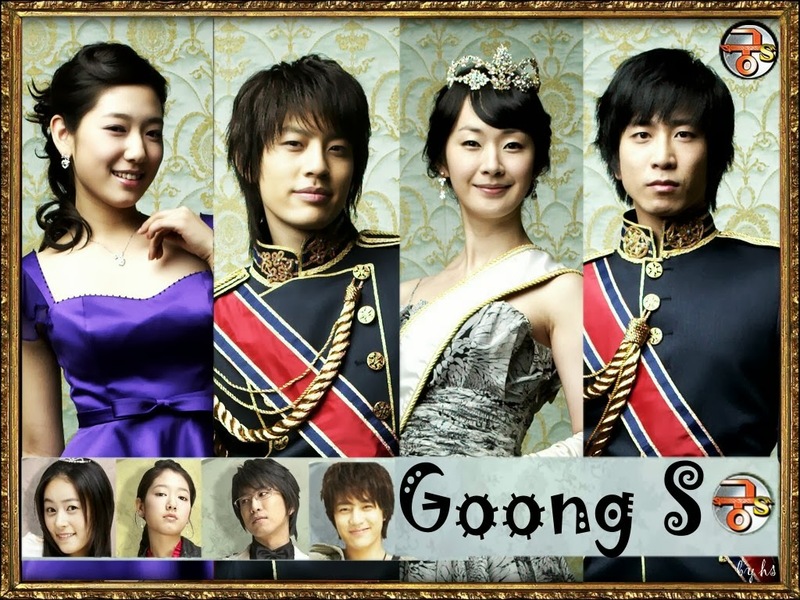 Leaving aside the quality of the series, “Goong” was a smash hit and paved the road for other series with similar concepts. “My Princess”This series is about a restoration attempt to bring back the Monarchy using a forgotten princess. “The King 2 Hearts”This series is centered around the South Korean monarchy and its interaction with North Korea. The interesting this is that North Korea is basically a monarchy anyway. What all these series have in common is that the setup and themes are liberally borrowed from the U.K. This is not unreasonable since the British monarchy is the most visible monarchy still remaining. The themes that are being displayed are the nature of monarchy in the modern age and the issue of succession. The other commonality is that the actual past of the monarchy is not referenced at all. The furthest back they go is the Japanese annexation. In other words, the themes and understanding about the monarchy are superficial at best. In this way, the treatment of monarchy is similar to how America treats it. It is a fantasy that could be romanticized because it is so distant from reality. However, I would like to say that monarchy is not as distant as one would think for Koreans. We still live in the limbo between democracy and monarchy. Our society has not matured enough to treat monarchy as fictional fantasy. This is the background in which these K-dramas should be viewed with. They are uncomfortable K-dramas dealing with a uncomfortable subject. While this attempt to expand the subject matters dealt by K-dramas is revolutionary, it is a shame that it never goes beyond the superficial. The nature of monarchy is still a subject that captivates peoples minds even in the 21st century! Ok - I'm not a history expert (not US History and certainly not Korean history), but weren't the "pretty crappy" stuff caused not by the monarchy but by the congress (I can't remember the real word for the men in power at the time). It doesn't seem right to blame everything on the monarchy if the monarchy was pretty much powerless. I think it is cause I'm an American that I'm fascinated with the monarchy storylines. However, there is an exception. GoongS was just stupid. archery as a test of a future king? really? That's about when I stopped watching - I'm not even sure I watched the actual match. It is true that the dynasty is not wholly to blame! It was "pretty crappy" because "pretty crappy" is the limitation of the medieval monarchy system and limited resources. However, the dynasty itself does not really have any good PR worthy accomplishments. Oh and the class in power was "Yang-Ban" the literate bureaucrat class. Hey there! I have nominated you for the 'Versatile Blogger Award'! A little sailing to the East from Britain brings you to another small monarchy, called The Netherlands, aka Holland. It is the "Oranje"-Dynasty that has been on and off from the 15th century. With Britain, The Netherlands is the most Atlantic country, it feels like an American state sometimes. Why bother about a monarchy ? In some way, the Dutch monarchy has always kept a low profile compared to the British, without forgetting the protocols. There seems to be some ranking between the Royals. Well, the British Commonwealth was/is larger than the Dutch. But the Royals in Holland were always dependent on the power of the business-people, specially in the 17th Century, which is called The Golden Century. After a long war with Spain, Holland was liberated. Amsterdam becoming the center of two world-wide trade-companies called The United East India Company, and The United West India Company. One for the America's and one for Asia. Those two companies were the first very large true multi-nationals. Holland was run by Dutch Chaebols so to say. The 18th and 19th century saw a decline in power with weak Kings and a corrupted and spoiled upper-class. The 20th century saw two world-wars, but four rather strong Queens keeping the spirits up. There was never much glamor attached to the dynasty, neither scandals. Rather dull in fact and outdated. But the Crown-prince met a very charming Argentinian girl 1998 , who had made a career from scrap to the second highest position in a large bank in New York. Before she was 30. Right from the start, she proved to be a great communicator regardless of rank. A very charismatic personality, who is really able to talk sincere with heroine-hookers in a hospital, girls in jail after a youth-in-hell, young kids in a large Moslim-community center, but also with the other First Ladies in the world. And become a European fashion-icon at the same time. Now they are King Willem Alexander and Queen Maxima in a country that is almost Republican, but their popularity still growing. There are signs that the British Royals have taken an example after them, they have been opening up a lot the last 10 years to the common people. Queen Maxima has given the Dutch dynasty wings and glamour, lifting it up in many ways. Ofcourse this is a constitutional monarchy, their( official) power is very limited. But in this very multi-cultural society, they seem to be exact the thing that makes a connection between all that. Specially the women in poorer immigrant-groups adore her, and get inspiration. Perhaps it is pure luck, but I think we are better of at this moment "with", instead of "without" a dynasty. definitely delighted I found it and I'll be bookmarking it and checking back regularly!